Srinagar, Sept 02 (KNO) : The mother of Vice Chancellor University of Kashmir Prof Talat Ahmad has passed away after brief illness during the intervening night of September 01-02, 2018. 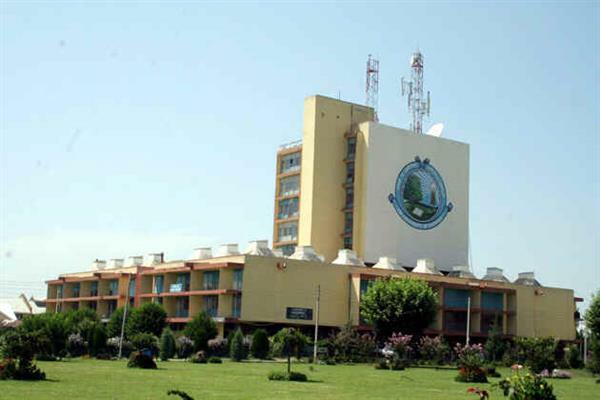 While confirming this Registrar KU Prof Neelofar Khan said " Hon'ble Vice Chancellor received the news of the demise of his mother in the wee hours of morning today after which he immediately left for his homestate." Meanwhile the entire kashmir university fraternity including teaching and non-teaching staff, scholars and students have expressed deep grief and sorrow over the sad demise and prayed for peace to the deceased soul and strength to the bereaved family of Vice Chancellor in this hour of grief.